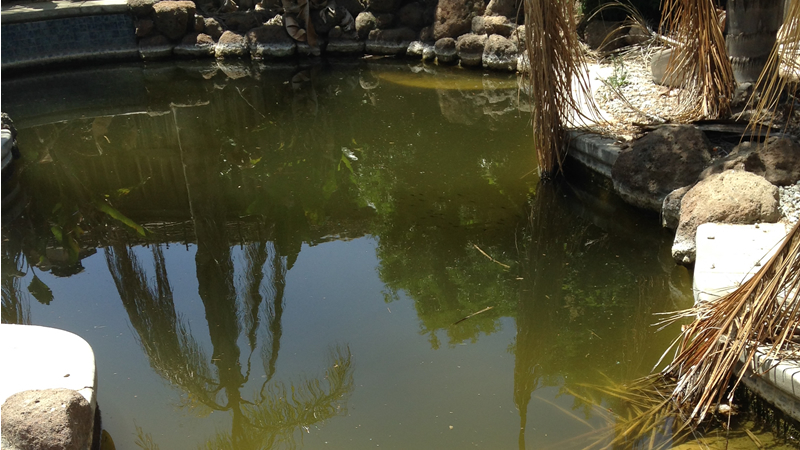 If maintaining your pool has gotten out from under you or you have recently purchased a foreclosure or a home where the pool was neglected during the sales process, you are most likely looking at a green swamp that will be in need of a cleanup. Some pools will be able to be brought back to clear condition without draining depending on the severity and length of time the pool has sat in a green state. 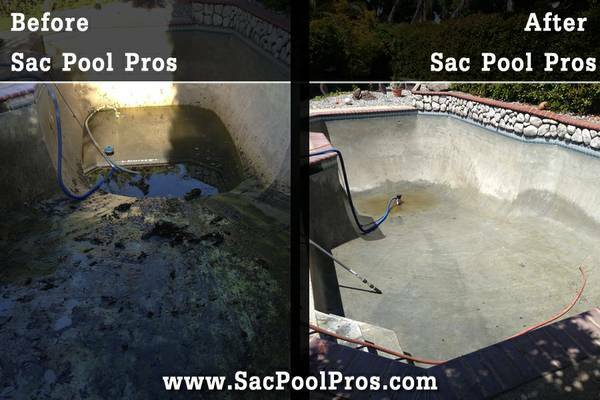 If you can’t see the bottom of the pool, it will probably need to be drained and have the surfaces cleaned of extensive algae buildup before refilling can be done. 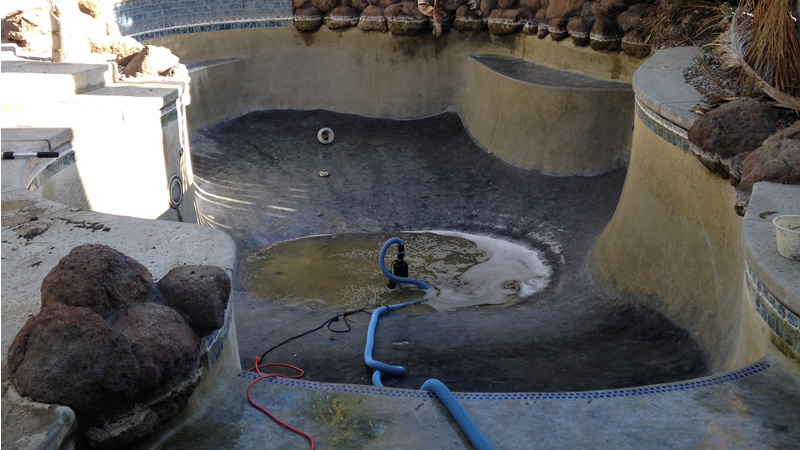 The extent of the cleanup process will depend on pool condition. Chlorine washing alone may be enough to remove algae buildup but often an acid wash will also be required to remove accumulated staining for pool walls. Every case is different and often taken in steps. Tile cleaning or water line pebble can also be cleaned of calcium buildup. Gives us a call today for a estimate!